The Code of Conduct Tribunal, CCT, Friday discountenanced and refused the no-case submission made by the defence counsel of the suspended Chief Justice of Nigeria, CJN, Walter Onnoghen. It also ordered the defendant to enter his defence, if any, on April 1, stressing that the CCB Standard Operational Procedure heavily relied upon by the defence counsel, Adegboyega Awomolo was not in use by the Bureau as presently constituted, but the constitution of the country. 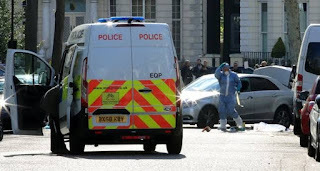 The tribunal added that it would not rely on technicalities, but on the substances of the charge which the defendant admitted without duress. This development followed the no-case submission filed by the defence counsel, Adegboyega Awomolo. Addressing the tribunal, Awomolo, who sought to reply the prosecution counsel, Aliyu Umar on points of law, prayed the tribunal to discharge and acquit his client, Justice Walter Onnoghen. He argued that there was no prima facie evidence establishing the allegations preferred against by the federal government for him to answer or be convicted by the tribunal. 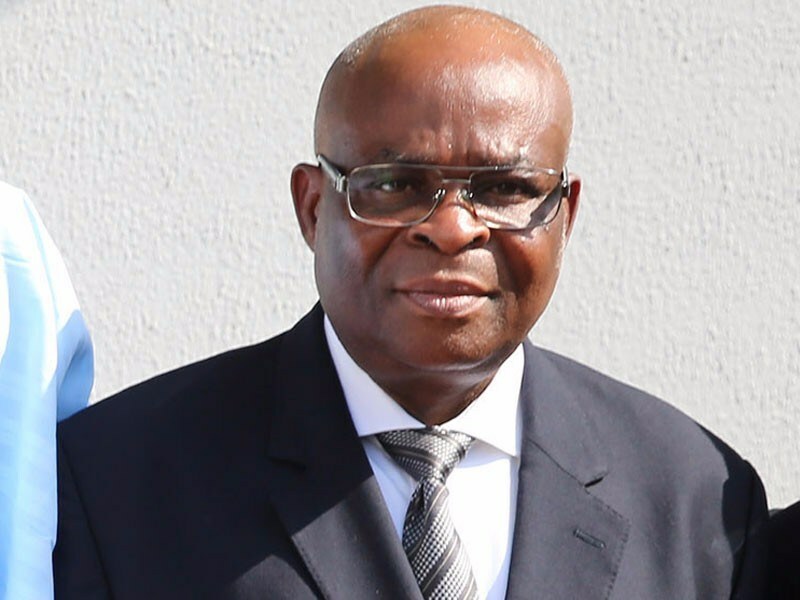 The defence counsel basically faulted the procedure through which the Code of Conduct Bureau, CCB, arrived at the allegations against Onnoghen, saying the procedure was not in compliance with the standard operational procedure pursuant to the provisions of the 1999 constitution as amended, CCB act 2004 and CCB standard operational procedure 2017. In his words, “Is CCB bond by the provisions of the 1999 constitution of the Federal Republic of Nigeria as amended? – Yes. Awomolo’s submission was based on the statement by Awwlu Usman Yakassai, Pw2, and CCB’s former Director who, under cross examination, admitted that there are three stages of verification such as: Time of submission, Conference and physical verifications that were not followed before Onnoghen’s arraignment. On this premise, Awomolo said, “What we are saying is that CCB being a public body must comply with the procedure as provided by law. “Pw2 acknowledged that such a procedure exists that the Bureau Executive Council shall investigate property and asset where necessary refer it to the CCB for a deal. “The Pw1 evidence also showed that CCB did not, however, follow its procedures. But the CCB chairman made the rule with the approval of Mr. President in 2017. “This procedure has the power of the constitution because it is derived from the constitution and has the same binding authority as the 1999 constitution which every officer must obey especially concerning its rules and procedure of operation. Also, Awomolo faulted exhibit 1, which is the petition written by Dennis Aghanya, upon which the allegations against Onnoghen emanated. The defence counsel said, “There was no investigation of the petition howsoever. No findings. No legal opinion as required by the Standard Operational Procedure, SOP. “Even if there was investigation but the report was kept away from the tribunal. You don’t even have the record. “Where there is no investigation, there can be no prosecution. It amounts to taking the cat before the horse. So, it’s a violation of the Standard Operational Procedure. “My submission is that where the law prescribes a procedure for doing a thing, it must be followed. Otherwise, it is illegal. Compliance is a condition precedent. Further, Awomolo dismissed the petitioner as faceless and anonymous, pointing out that he did not appear before the tribunal to give evidence and be put under cross examination. He, therefore, urged the tribunal to discard the petition as a mere hearsay. In his words, “The petitioner was not brought before you, My Lord. Therefore, exhibit 1, is a documentary hearsay and inadmissible. It doesn’t deserve a Judicial attention and must be expunged from the record. “It was an anonymous and unverified petition. Was it not a shame that the CJN was brought before the tribunal over a anonymous and unverified petition. Besides, Awomolo prayed the tribunal to disregard exhibits 2, 3 and 4 as products generated from the computer system. He said for the evidence to be regarded, there must be written or oral evidence on oath which was not done. In response, the prosecution, Aliyu Umar, who referred to the standard of operational procedures as internal memo of the CCB, said it cannot override the constitution. He added that the defendant has admitted that he forgot to declare his assets within the years under review. It also specifically said that from 2005 when Onnoghen was appointed Justice of the supreme court to 2016 when he was also appointed Chief Justice of Nigeria, CJN, he failed to declare his assets. He maintained, “The fact of the case was not that Onnoghen made false asset declaration but non-declaration of assets. But in his reaction to the tribunal ruling, Awomolo said the tribunal chairman brought his personal experience of the Korean in his Judicial decision. He said, “If this is Justice of the Federal Republic of Nigeria, we are doomed. “We have seen in this tribunal that the chairman has taken over the opinion of other tribunal members. “We can’t fight corruption with corrupt processes”.